On Saturday, November 11, the Buffalo Beauts will take to the ice at HarborCenter, intent on improving in their 1-1 record. But perhaps the lede has been buried, even if it’s only one sentence in because fans and the team will watch as the ISOBEL CUP CHAMPIONSHIP BANNER IS RAISED TO THE RAFTERS. It is impossible to conceive that a team that took down an undefeated club from Boston has failed to garner more attention, but here we are. The Beauts will open their two-game homestand defending their turf against their championship opponents, who limp into the game 0-2. Here’s what you need to know. The gang’s all here: Many players from last year’s team have moved on, but there are several who have indicated they’ll be in the house for one last victory lap on the shores of the Buffalo River. The banks may flood with the tears of joy pouring from the HarborCenter, but the Queen City knows how to handle a natural disaster. Cry freely as this Davidian feat is honored in a pregame ceremony. Isn’t that special? Buffalo’s special teams are once again top in the league. 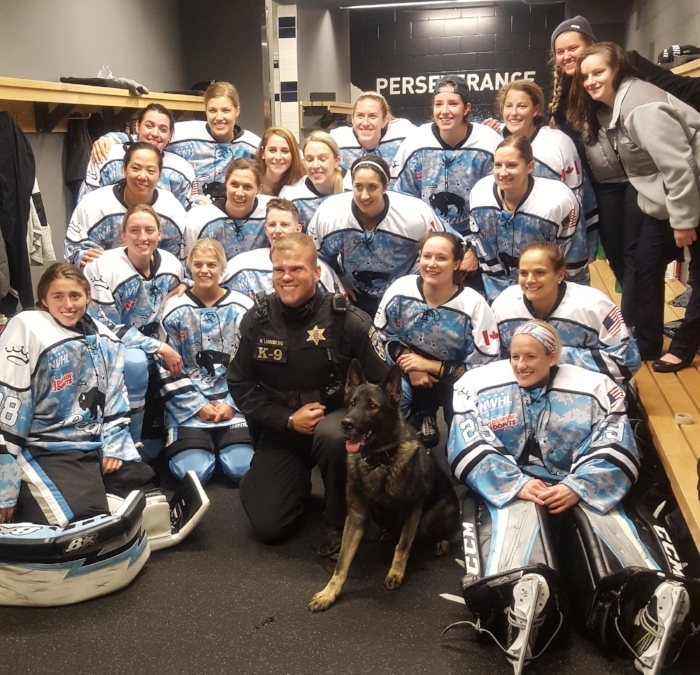 The Beauts have had to kill an ASTOUNDING 19 penalties, and they’ve done so 16 times, for a league-dominating 84.2 percent success rate. Their mighty power play is second in the league at 17.6 percent, but Buffalo will look to jump that number against the league’s worst penalty killing unit. Quick starts: Over the course of the Beauts’ two-year history, the team has been notoriously slow out of the gate. This season, they’ve flipped the script and are outscoring their opponents in the opening frame. Last week’s anomaly that had the refs whistling like a terrible impression of Axl Rose in patience had the Beauts playing catchup in the second and third. This unexpected interruption of a perfectly find hockey game skewed the numbers a bit, but expect Buffalo to double down this weekend and pick up the scoring in the last half of the game. It’s Boston: This cannot be overstated. There are fewer rivalries in sports as bitter as Buffalo vs Boston, and the Beauts and Pride have faced off twice in the Cup final, splitting the series to date. Let that sink in. BUFFALO BEAT BOSTON. For the championship. And Saturday, the Beauts will rub it in Boston’s smug face, making the Pride watch as the banner flies to the ceiling. Hanging one on Boston is worth the price of admission, alone.